The history of French music is long and illustrious. 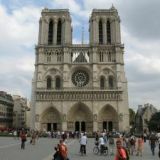 France, of course, has long been known for its exquisite taste in cuisine and fashion and is world-famous for its luxury perfumes, for inventing high heels, and for its unsurpassed French wines and champagne. Likewise, music has always been an integral part of French culture, although the genres of music have changed over the years. The diversity of French music can be attributed to the fact that it has incorporated sounds and beats from many other countries and peoples. It is not unusual to hear American, Asian, Latin American, or African tones when you listen to French music. However despite these influences, certain genres of music are exclusively French. The history of French music dates back to the early 1600s with the introduction of French Opera and French classical music. Much of this early music was comprised of holy tunes from the Roman Catholic Church. It wasn't long before French musicians began to compose ballads and songs about love. The 19th century stands out as the romantic era in French music due to both the songs and the many romantic films produced during this period. 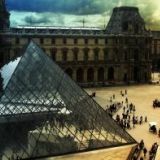 Foreign composers also had a big influence on French music, and the compilation of romantic French songs continued to grow throughout the 20th century. At this point in the history of French music folk songs were introduced, many of which remain favorites until this day. By far, the most iconic romantic French singer is the legendary Edith Piaf, whose 1945 ballad, "La vie en rose," won a Grammy Hall of Fame Award in 1998. She became famous as an entertainer in France even before the Second World War, however after the war her music began to spread internationally. In fact, Piaf has performed to sold-out crowds at Carnegie Hall and appeared eight times on the acclaimed Ed Sullivan Show. In addition to her own meteoric rise to success, Piaf had a great influence on the next generation and subsequent chapters in the history of French music, serving as a mentor to and helping launch the careers of singers Charles Aznavour (popularly known as the French Frank Sinatra) and actor/singer Yves Montand (whose films and music remain popular in France today). 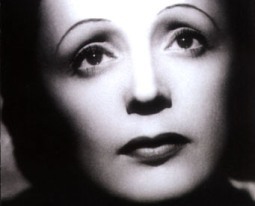 Additional Piaf classic hits include favorites include: "Non, je ne regrette rien"; "Hymne a l'amour"; "Milord"; "l'Accordéoniste," and "L'homme de Berlin." While the purity of French music lies in its classical and folk tunes, more recent chapters in the history of French music have seen a shift from folk and classical styles into more modern pop and hip-hop-style beats. Western music has had a great influence on contemporary French musicians, leading to the emergence of many pop, rock, jazz, and hip-hop French performers.